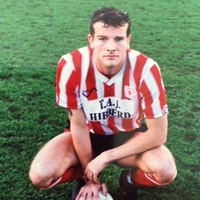 The much travelled Cawley was a latecomer to the Football League, being signed by Wimbledon in January 1987, aged 21, from Chertsey Town. He only played the one league match for the Dons though, but did have loan spells with Bristol Rovers (February 1987) and Fulham (December 1988). He also played in the FA Charity Shield for the Dons against Liverpool at Wembley in 1988. Cawley spent six months on loan to a Finnish club during his time at Wimbledon. 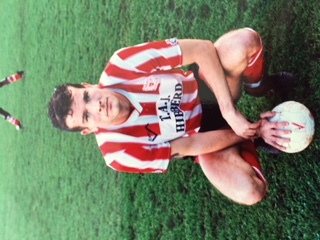 Cawley then signed for Bristol Rovers again in July 1989 on a free transfer, but his one season stay ended after he had only featured in three league matches for the club. 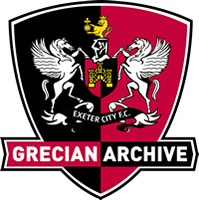 He then signed for Southend United in July 1990, but four months later had moved to Exeter City on a free transfer, plus 50 per cent of any future transfer fee that the Grecians received for him. He made his debut in a 1-1 home draw against Brentford. However, once again, he only played in a handful of games after being sidelined with an achilles problem, and by the following November he had left St James’ Park when his contract was cancelled by mutual consent to link up with Barnet. Amazingly for the seventh Football League club in a row that he had played for, Cawley once again totalled less than ten games, in this case just playing three. His career really took off though when he signed for Colchester United in October 1992, where for the first time he won a regular starting place in the team and he went on to play a total of 180 league matches, scoring two goals. 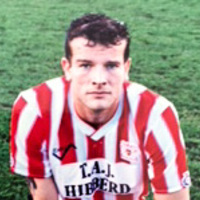 Cawley returned to the non-league game when signing for Braintree Town in the summer of 1998. He was to later move into coaching and became Head Coach at Wycombe Wanderers, standing in as caretaker manager in 2004-05 after the departure of Tony Adams. Cawley then worked as a London taxi driver following his departure from Wycombe Wanderers where he was assistant-manager to Tony Adams.